I choked back the tears as the truth rolled over me. Oh, how I resist those waves! Preferring seasons of calm pools I can control, frustration was making me rigid as the waves crashed over me. Reality is that life happens and waves come. I told a girlfriend the other day that I needed a word that encompassed or described both ‘good’ and ‘hard’. She replied simply, “life”. Life has high highs, and low lows. Waves crest and carve, equally carrying deep truths and beauty as joy and pain call to each other. 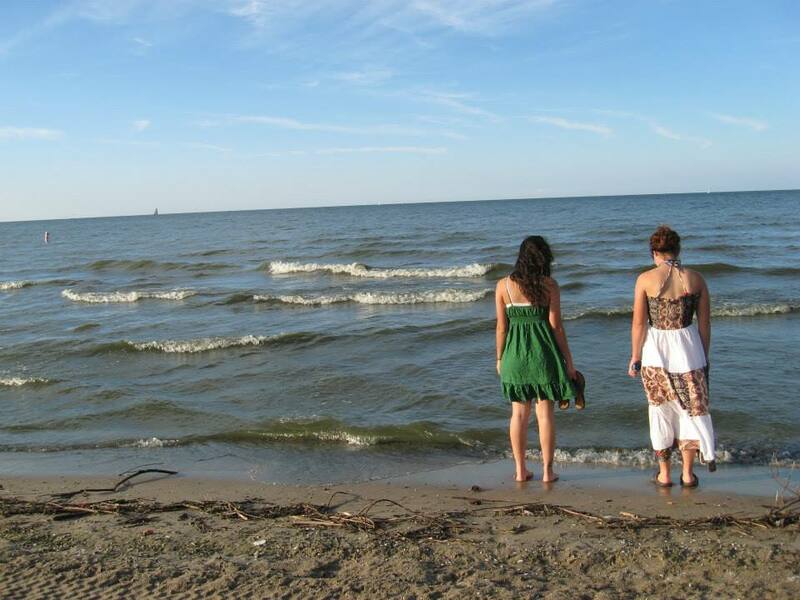 But in those waves, I’m learning there is a difference between being tossed and being yielded. Being rigid and stubborn doesn’t just result in bruising, it’s end is also double mindedness and being tossed about. My personal stubbornness and resistance to the flexibility of surrender comes from a lack of trusting the Lord (fear). For different folks it may be different strokes and circumstances; but fear, stubborn control, and a lack of trust will always result in doubt – which is to be tossed. It’s in trusting that He IS our rock, that there is an ocean floor and a foundation under the waves that gives the ability to be flexible and yielded to our Father. The amazing thing is though – waves don’t just smooth out our rough edges, they create beauty in our foundations. If you feel storm tossed and afflicted dear one, the Father hasn’t abandoned you in the waves. Deep calls out to deep to explore the unique depths of His love found only in the space craved out by the wave, or the exhilarant joy found in the foaming freedom of the crest. AS we ride the distance between the depths and crests. Waves will always come. It’s what we choose that will change the ride – tossed or yielded, stubborn or surrendered, the choice is ours. Categories: Beauty, Grace, seeking God | Tags: trust | Permalink. Allergic reactions. Emergency rooms. Green smoothies. Detoxes. All Natural – Everything. Essential Oils. Sugar Free. Gluten Free. GAPS. You name it. I tried it. You see, victory belongs to the Lord. Not to doctors, though He uses them. Not to natural remedies, though He gave them to us – because to Him, all glory is due. Isaiah tells us that he “will not yield His glory to another”. And He certainly will not. No matter what I tried to battle the MRSA with, it failed. Daily for a year and half I fought, and as I did, all self-reliance and control died painful, slow deaths. Trust in any system of medicine waned, theology fell by the way side until all was stripped away. Have you ever come naked before the Throne of Grace? A miracle happens there when we choose to let go of all pride, control and self-reliance. In His mercy the Father never turns a broken and naked child away. When all is stripped bare He remains faithful. Although I could not see it at the time, He heard every cry and saw every painful tear, and there were many of them. 2012 was a year of tears for me; a year of raw faith when a lot of what I believed was tested, tried and refined. I woke up last Christmas to a huge boil and spent New Years in tears, begging for grace and pleading for healing as I carried the sickness into another year. The specialist could do nothing. In His grace, the very grace I was pleading for, He brought me to the most terrifying, exhilarating, and peaceful place. The place of “but God”, where heaven meets earth. He is Jehovah Rafa, the God who heals. The One who first healed my heart, and then in abundant mercy when the time was right, the One who healed me physically. There was a group of friends who faithfully prayed over me, and one night last January– He healed. 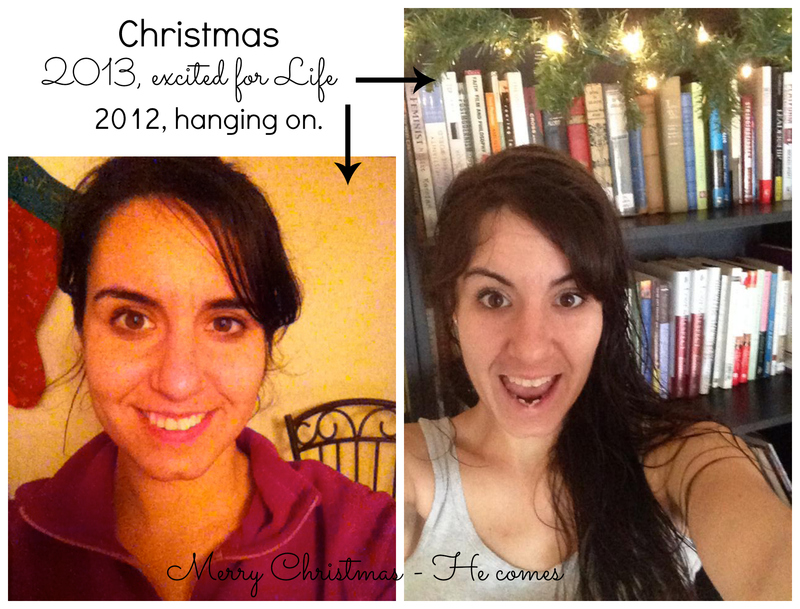 This Christmas was the one-year mark since I had a full blown MRSA boil. He is abundantly good and faithful. The journey has been long and painful, and even before the healing, the suffering is worth it to see the Father’s face. The side of His face that only pain reveals. When all was stripped away, He gave me everything – He gave me himself. Whatever you are battling this Christmas, wherever you are broken and bare, there is hope, because He comes. One thing I have learned over the last few years is that He is faithful. He will not leave you there. He is not scared of our pain – what’s more, He enters into it. That is the miracle, and that is Christmas – Christ coming. I have much to learn in what it means to walk in the healing and continue to trust Him for it. By His grace I’m slowly healing from the side effects, and every boil that has dared to start growing this past year, has vanished in the power of His name. There is nothing like literally watching healing in your own body to believe Him. I blog today to praise Him – a year ago I was in a place where only He could move on my behalf and He did. This New Years I won’t spend in the doctor’s office, but in Kenya loving His children and by His grace bringing His healing love to them. Thank you dear friends and readers for the many times you prayed for me. You were apart of His grace. As many times as I prayed for healing, I want to praise Him for healing. Soli Deo Gloria – all glory to Him alone. Categories: Grace | Tags: grace, Growth, MRSA | Permalink. Pst. Let me tell you a secret. I’m TERRIFIED of fish. Yes, fish. Even goldfish, and I own one! My dear Beta was given to me as a gift, and as a low maintenance pet, I love having it. I enjoy watching him from a distance, but when it’s time to clean out his bowl, GULP. What if he falls out?!? I’m a texture person and there is something about a cold, slimy, wiggly, flopping, scaly fish that makes my flesh crawl and my stomach churn. Eating fish with skin and scales sends me hurling, an escaped goldfish sent me screaming for the nearest male to come to the rescue, a fish tossed at me resulted in the fetal position, and swimming in a pond only lasts 1.2 seconds longer than a nibble on my toe. You get the picture; I have an irrational fear of fish and water animals. This tough farm girl is reduced to near hysterics near anything with gills. There is no solid basis for my fear, but that is the nature of fear is it not? Fear is never based in reality for a child of God. The paradox of fear, is that what we are afraid of is what we are often unknowingly drawn too. Why in the world would I own a fish, when I am terrified of it? Why do we rent rooms in our mind to the things that we fear? Because on the other side of fear lies the fulfilled promises of God. Fear is simply a distortion of reality; which is a distortion of truth. Nothing can be distorted that was not once pure. This week I fell in love with sting rays as I crossed off a bucket list item – visit an aquarium. (When I’m scared of fish… I know I know… ) We are drawn to what we fear, because fear is only meant to be a door, not a wall. Stingrays were swimming everywhere in a low open tank – my girlfriend really wanted to see and pet them, (I would have kept going.) At her insistence, I timidly held my hand just below the surface of the water, bracing myself to hold back the scream I knew would force it’s way through my lips as my palm brushed the slimy back. The first touch was GROSS. It was just a slimy and cold as I imagined it to be. But as one stingray after another came close to be touched, my heart softened. What once paralyzed me began delighting me. Stingrays are magnificent! So much power, breathtaking beauty, and grace, gliding just beneath the surface. 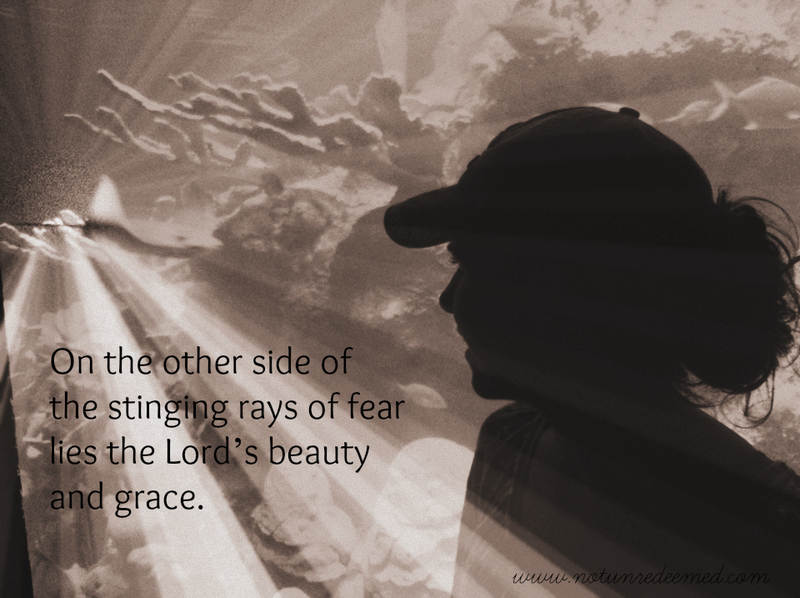 On the other side of the stinging rays of fear lies the Lord’s beauty and grace. In EVERY area of life. Fear acts like a wall keeping us from grace. But fear is not meant to be a wall, but a door we walk through. It’s only AFTER facing our fears that the grace comes. The Lord can’t fill our hands with His love, when they are clutching fear, just as light can’t come through a walled off door. Fear is only overcome in the presence of the Lord, by facing it and walking through it. We will never know how big our God is, until we walk through the fear. Remember that fear is a distortion of reality – the reality that our God gives us ALL that we need. No good thing does He hold back from us. The Hebrew roots of this phrase has the conation that there is nothing better left to give us. He withholds nothing from us, and gives us the VERY best, as we walk uprightly. “Uprightly” is translated from a word meaning “complete, entire, whole”. There is so much blessing just over the threshold of trust, when we give Him everything. Wouldn’t it be nice if every fear in life was a small as stingray problem to overcome? But then again, isn’t it? The choice to walk through the doorway is always ours. What’s on the other side of your doorway? Categories: Grace, musings | Tags: grace, musing | Permalink. It’s one of the emotions we can taste. Its tendrils can creep and slither into our hearts unnoticed, or fear can rush in with a fury that steals our breath away. It is something that leaves us feeling powerless. What a lie! We are powerful. Powerful because in us the fullness of Christ can dwell! A friend pointed out to me today that fear is not an unsustainable emotion. In order for fear to stick around it must be fed. How often do I feed the fear? Categories: Grace, musings | Tags: Fear | Permalink. I’ll admit it, I cried when I woke up on New Year’s Eve. I desperately wanted to be rid of the nightmare of 2012, but fear battled with grace in my heart for 2013. Hope leaked out of my heart as the tears streaked down my face. I want to be healed. To go into 2013 clean, whole, and healed. But here I was against my will dragging into 2013 my worst nightmare – MRSA.I woke Christmas day to the flu, resulting in compromised immune system that handed me one of the most sever outbreaks I’ve had yet (with a trip to a specialist this time). Most of the last week was spent in bed. 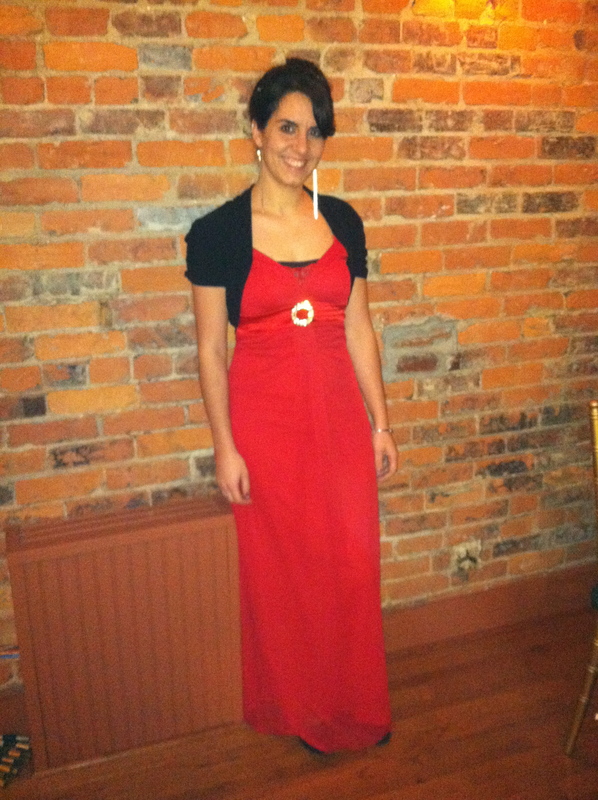 Categories: Grace, Uncategorized | Tags: grace | Permalink. Categories: Friendship, Grace | Permalink.